This user-friendly website is one of our best looking and easy-to-navigate websites to date! 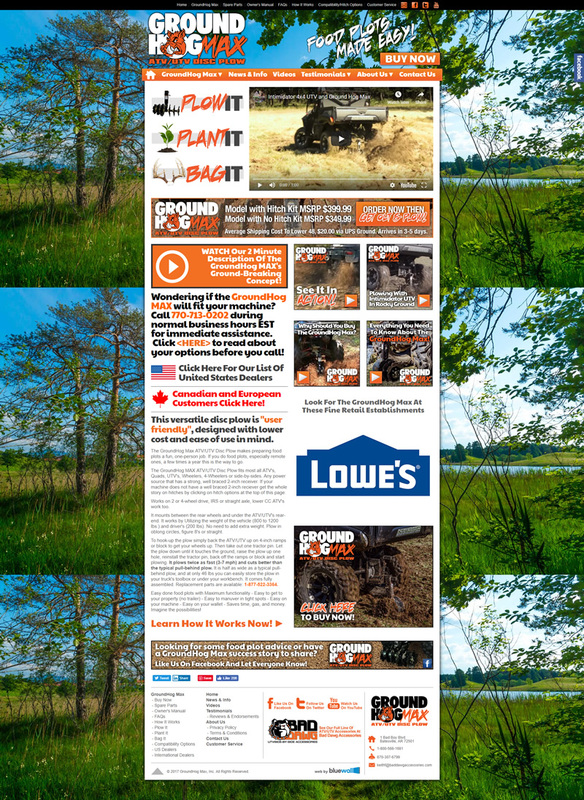 It centers around the theme "Dominate the Dirt," promoting their amazing GroundHog MAX ATV/UTV Disc Plow. The GroundHog MAX fits most all ATVs, Quads, UTVs, Wheelers, 4-Wheelers or Side-By-Sides - any power source that has a strong, well braced 2" receiver. It works on two or four-wheel drive, IRS or straight axle, and lower CC ATVs.